“Women’s crime writing is on a huge wave and we should all be catching it,” says CEO Tony Nash. Booktopia, Australian pre-eminent online bookseller, has announced it will sponsor this year’s Sisters in Crime’s Davitt Awards for Best Crime Books. CEO Tony Nash says it’s a natural fit. “A sizeable proportion of the four million books sold by Booktopia each year are crime and Sisters in Crime members are passionate readers and book buyers, bordering on the obsessive I’m told,” Nash said. Nash said that one of Booktopia’s missions was to support Australian writers. “The Davitt Awards have done an impressive job in convincing Australian publishers to back local women crime writers and not just import the latest blockbusters. In 2001, when the awards started, only seven books were in contention – this year it’s 77, more than a 10 fold increase,’ he said. Jacqui Horwood, the Davitt Judges wrangler, said that Sisters in Crime was thrilled with Booktopia’s sponsorship of the Davitt Awards, now celebrating their 16th anniversary. “While it’s no longer the case that women writers don’t get a look in at the Ned Kelly crime writing awards, having Booktopia’s sponsorship will do a huge amount to boost the profile and prestige of the Davitt Awards and women crime writers more generally,” she said. 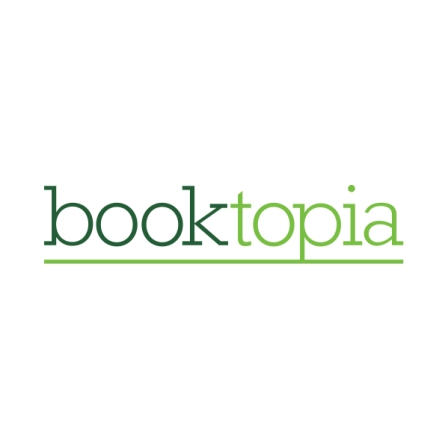 In 2014 Booktopia won the Telstra Medium Sized Business Award for NSW. The company has won countless other awards including Australia’s number 1 online bookstore and is currently Australia’s Favourite Bookstore as voted by the Australian public. Horwood said she was also thrilled to announce that the Davitt Awards will be presented by Australian crime writer Liane Moriarty at a gala dinner at Melbourne’s Thornbury Theatre on Saturday 27 August, 7pm. 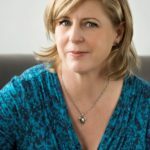 After talking about her ‘life in crime’ with true crime author Vikki Petraitis, Moriarty will present six awards : Best Adult Novel; Best Young Adult; Best Children’s Novel; Best Non-fiction Book; Best Debut Book (any category); and Readers’ Choice (as voted by the 600 members of Sisters in Crime Australia). Moriarty won last year’s Davitt (Best Adult Novel) for Big Little Lies, which has sold over one million copies in the US alone. Moriarty became the first Australian author to have a novel debut at number one on the New York Times bestseller list. Rights have been acquired by Nicole Kidman and Reese Witherspoon who are both taking roles in the TV production, scripted by David E Kelley, with HBO winning the screen rights, after a battle with Netflix. Jacqui Horwood: Horwood is a librarian with the Brimbank and Maribyrnong Library Services. She likes her crime hard boiled and her eggs sunny side up. Maggie Baron: A former forensic scientist and avid crime reader, Baron brings a strong analytical perspective to the craft of judging. Michaela Lobb: Lobb formerly worked as a proof reader for freelance writers and has a degree in journalism and writing and certificates in editing and publishing. She began her career as a devoted crime reader at age 11 when she transitioned from Trixie Belden to Agatha Christie. Deborah Crabtree: Crabtree is a writer, reviewer and bookseller at Readings Carlton. An ex-Kill City dame and past Ned Kelly judge, Crabtree has returned to the literary crime scene to check out how the sisters do it and whether they can get away with it. Deb Force: Force is the owner of the Sun Bookshop and The Younger Sun in the heart of glorious Yarraville. Force was recently named joint winner of Australian Book Associations Text Publishing Bookseller of the Year. Force has always been keen on Sister Crime writers. It all began with Enid Blyton’s Famous Five…. Debbie Stephen: Stevens is a career forensic scientist specialising in drug analysis and toxicology. Her partner is a serving police officer and expert crime scene investigator. Despite all that, there is still nothing she likes more than curling up with a good crime book. Previous Davitt Awards have been presented by UK crime writer Sophie Hannah; South African crime writer Lauren Beukes (2014); New Zealand crime writer Vanda Symons (2013); Swedish crime writer Ǻsa Larsson (2012); Singaporean crime writer Shamini Flint (2011), Scottish crime writer Val McDermid (2003 & 2010); Justice Betty King (2009); Judge Liz Gaynor (2008); Walkley-winning investigative journalist Estelle Blackburn (2007); true crime writer Karen Kissane (2006); Sisters Inside’s Debbie Killroy (2005); US crime writer Karin Slaughter(2004); ACTU President Sharan Burrow (2002) and Chief Commissioner, Victoria Police Christine Nixon (2001). Sisters in Crime Australia was set up 24 years ago, has chapters in different states and holds regular events in Melbourne dissecting crime fiction on the page and screen. It also hosts a popular annual short-story competition, the Scarlet Stiletto Awards. A short list will be announced mid-July.